We’ve already got plans to meet many of you, but we’ll also be planning research projects, presenting our own panels, and attending lots of sessions. Are you interested in talking with some of us between sessions? Jeff, Bill, Melissa, and Mike will be free at various times during the conference and would love to sit with you and share stories over a beverage. 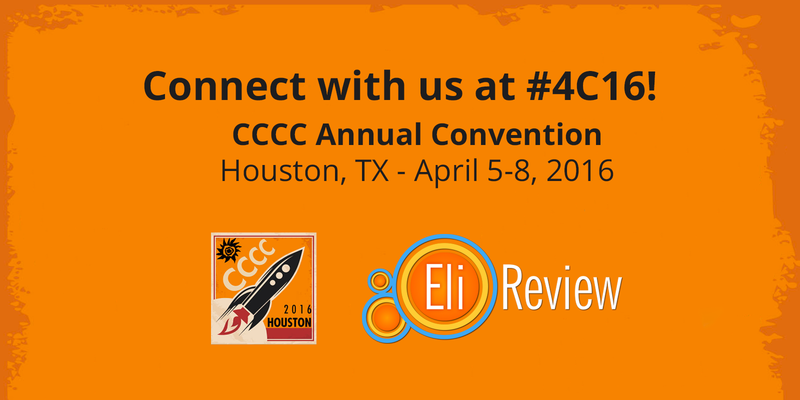 Just follow @elireview on Twitter or watch the hashtag #4c16Eli – we’ll announce when we’re free and where you can find us for a drink and some shop talk. Oh, and if you want stickers, meet us for a drink or come to one of our sessions. Don’t want to miss a chance to talk to any of us? Email Melissa to set-up a firm meeting time; we’ve got open times Wednesday, Thursday evening, late afternoon Friday, and Saturday. Oh, and, if you haven’t seen it, we’ve picked a ton of sessions related to feedback, revision, metacognition, online writing instruction, and professional development. Connecting with the Eli Review team at #4C16 was published to the Eli Review Blog in the category Uncategorized.